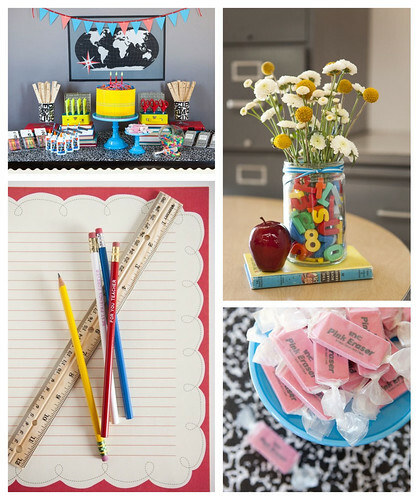 One Charming Party put together some amazing and fun ideas for Back to School. How cute is the school supplies "buffet"? There's something so fun about new pencils, pens, paper clips and fresh notebooks... don't you think? Help your little ones prepare for their first day of class, or a return to school with a Back to School Party. Ask other neighborhood Moms to lend a hand with the party, and the excitement is sure to build. Set up a school supplies buffet, just like One Charming Party has done, and have each child select their supplies and place them in a new backpack. Ask the older kids to give tips and share their experience with the first timers. Before you know it, your kids will be so excited to board the bus on their first day!